Item # 305066 Stash Points: 8,995 (?) This is the number of points you get in The Zumiez Stash for purchasing this item. Stash points are redeemable for exclusive rewards only available to Zumiez Stash members. To redeem your points check out the rewards catalog on thestash.zumiez.com. Rip up the park like pro rider Lizzie Armanto on the Birdhouse Lizzie Armanto Favorites Purple 7.75" Skateboard Complete. This pre-built complete features all of Ms. Armanto's favorites from her pro model wheels to her pro model deck all in a 7.75" sized complete. Abec 7 bearings provide excellent speed while the Birdouse brand trucks give optimal stability and a premium turn radius. Get a high end complete with all the fixings thanks to the Birdhouse Lizzie Armanto Favorites 7.75" Purple Skateboard Complete. 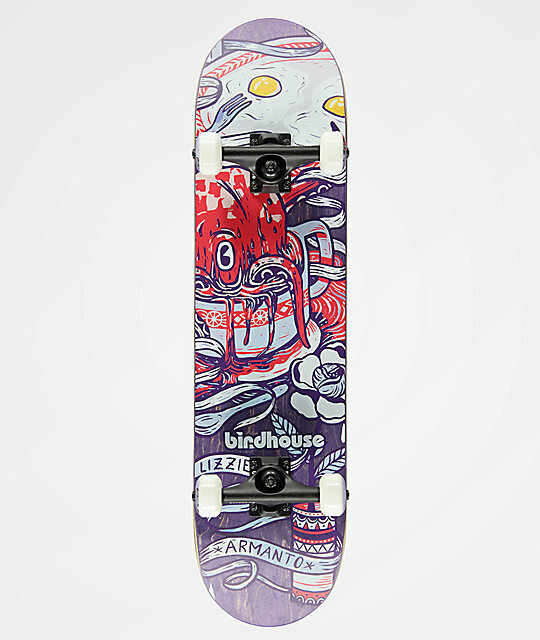 Lizzie Armanto Favorites Purple 7.75" Skateboard Complete from Birdhouse. 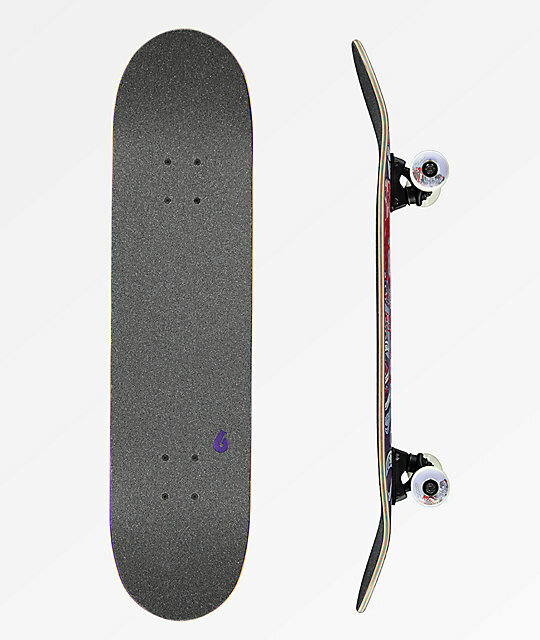 Signature Lizzie Armanto pro model. Lizzie Armanto pro model Birdhouse Wheels.